Commissioned to design, specify, procure and install all the fixed and loose FF&E for a new School in the Ark Trust, FFE Consulting have worked with Balfour Beatty since July 2016 on this primary school project from tender stage through to completion. We carried out numerous engagements with the School and design workshops with BDP Architects to coordinate all finishes; ensuring selected product finishes complimented both the painted walls and the colour system chosen for the building. Year groups are temporarily based in another Ark School nearby, where we installed two classrooms in Summer 2017 in time for pupils to start the academic school year in September that year. The installation of Ark Byron was carried out between October and December 2017, working closely with Balfour Beatty and Eco Modular on site for a smooth installation. FFE Consulting's decant team also managed the decant of furniture from the temporary site into Ark Byron. The School can open their doors at the end of February 2018. At the final sign off with Ealing council and the Ark Trust, FFE Consulting's installation team encountered no outstanding snags, leaving all parties delighted with the finished building. 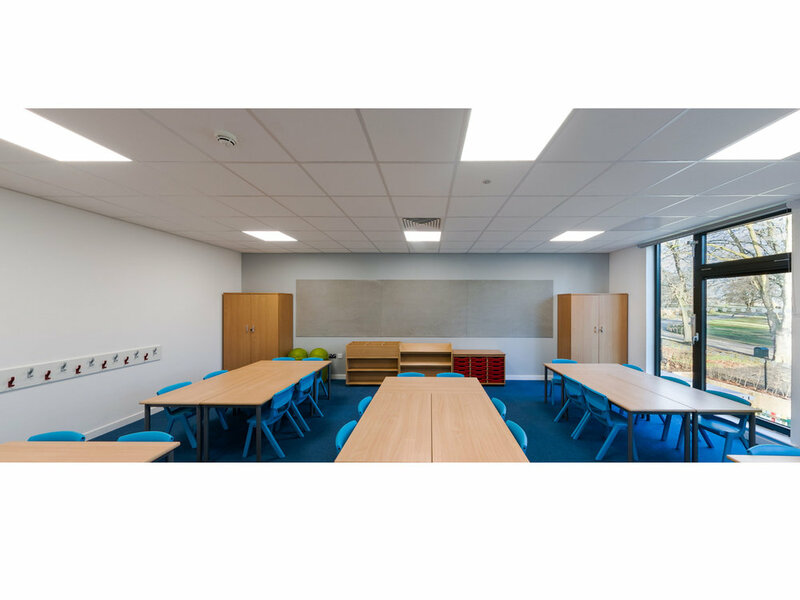 FFE Consulting were proud to have undergone a successful delivery and installation process and we do hope the staff and pupils at Ark Byron settle in and enjoy their new School for years to come. Design, specification, procurement and delivery of fixed and loose FF&E.